Volvo owns two words: SAFETY and QUALITY. That is why we chose Volvo to be a part of our DNA. 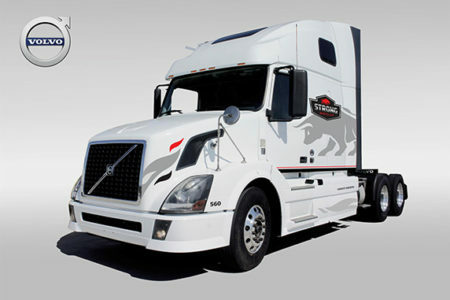 Our Fleet consists of Flatbed, Dry Van, Refrigerated Volvo trucks, Peterbilts and Kenworths. All our trailers are 53 foot long (dry van trailers, flatbed trailers and temperature control units – reefer trailers). For any additional equipment that a driver wishes to add to their truck, we will contribute to the payment with up to 50% of the price.